(first posted 10/24/2012) What is it about some people? Some folks just get no respect. Comedian Rodney Dangerfield made a career out of that observation. It is the same with some cars. There are cars, like the Duster, that begin life with little esteem but eventually become beloved, or at least respected. Then there are others, which despite being born with the world at their feet, eventually manage only to become objects of scorn and derision: Continental Mark IV, anyone? Finally, there are cars that start with no respect and remain so forever. Could there be a more fitting poster child for this special class of cars than the 1962 Mercury Monterey? Mercury spent the previous decade bouncing all over the place in terms of market positioning: In 1956, it was the not-so-big “Big M” (CC here). In 1957-60, it was newly positioned to battle Buick and Chrysler (alas, unsuccessfully) in the near-luxury market segment. 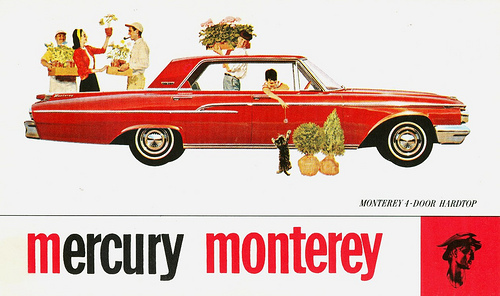 In 1961, it became the market’s fourth low-priced car; in Mercury’s words, it was “priced right in the heart of the low-priced field” (CC here) — and throughout it all, the formerly line-leading Monterey nameplate was downgraded nearly out of existence. Then, in 1962, came a unique concept. With the new Meteor hitting showrooms at mid-year, Mercury would start the year as a unified two-car brand, but would end it with a lineup of three. 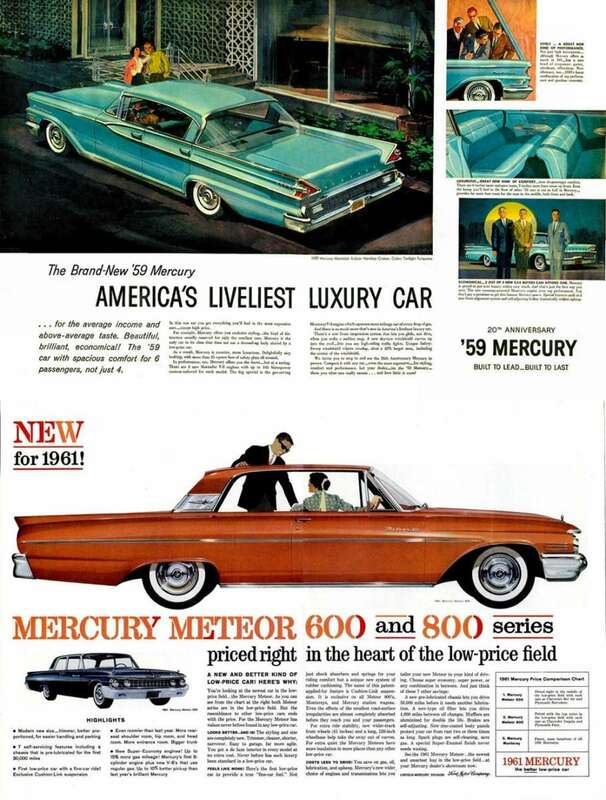 According to plan, the big Mercury would sweep out all the cheap stuff into the alley, and then start over as Ford Motor Company’s upscale, no-compromise mid-market line. Those looking to save a little money would be shown the slightly smaller cars on the other side of the showroom. There would be only one version–or two, depending on how we’re counting. 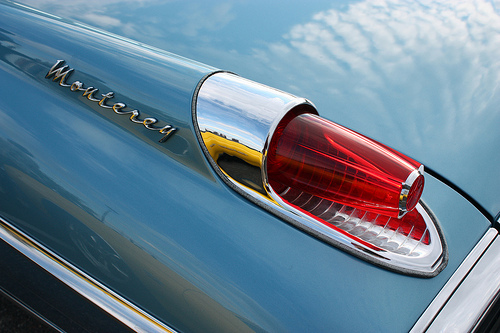 The Monterey and Monterey Custom would be the Alpha and Omega of the big Mercury line, whose purpose in the market was to plug the gaping hole between the Galaxie 500 and the Continental. Unfortunately, the 1962 Monterey fell to the ground with a resounding thud. Despite the mid-year addition of the sporty S-55 subseries and the demise of competing DeSoto, the artist formerly known as The Big M sold only about 107,000 cars. Let’s put that figure into perspective. It was about 30,000 units above a mortally wounded Studebaker. The Montereys’ volume was roughly equal to the total production of the slanty-eyed 1962 Chryslers, but only if we subtract New Yorkers. Not since 1948 had so few Mercurys been sold, with only Studebaker, Lincoln and Imperial keeping the standard-sized Mercury from being the lowest-volume line in America. It was only the sales of Comet and Meteor that boosted the brand anywhere near the realm of respectability. Why was the car so unpopular? It was certainly not ugly or funny-looking. Given the still-fresh memory of the many unattractive cars that had only recently blighted competitors’ showrooms (and continued to do so at Mopar stores), the Monterey should have provided a welcome respite of serenity and good taste. Instead, the Monterey still could not hit 110,000 units at a time when the entire Chrysler Corporation was imploding due to bizarre and otherworldly styling? Seriously? Seriously. 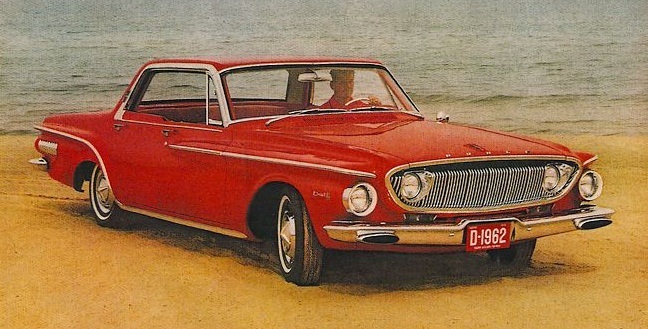 The oddball ’62 Dodge Dart/Polara line outsold it by nearly 40%! Then again, serenity and good taste were certainly in abundance in Pontiac, Oldsmobile and Buick showrooms. Mechanically, the Monterey was a pretty good car. While the base 292 Y-block wasn’t much to brag about, Mercury buyers could choose from the full range of Ford FE engines, including the 352, the 390, and even the 406. In a Motor Trend road test (here), the Monterey garnered praise for its ride, handling, brakes and all-around competence. So why so little respect for the big Monty, both then and now? Perhaps it all comes down to the one thing Mercury was not: Its own car. There simply was no disguising the fact that a Monterey was nothing more than a Ford Galaxie 500 with an extra inch of wheelbase and some cool taillights. This Mercury was a harbinger of Mercurys to come: an ever so slightly disguised Ford. Outside or inside, the disguise is thin, right down to the dash panel. Oops, for the extra money, Mercury at least gave the buyer a proper steering column with a concealed shift tube for the transmission lever. Maybe Ford was still working out the kinks in the design, because this particular lever looks to be in quite an unnatural position. But why, after all this time, has the ’62 Monterey failed to gain its due. After all, if the ’62 Falcon can become retro-cool in a certain hipsterish way, why not a Monterey, that was a much better car in almost every respect? We all remember Seinfeld’s Soup Nazi – was there also a Respect Nazi? “Get out! No respect for you!” There is not even a brochure for this car available on Old Car Brochures.com. I did not have time to look into it, but this may be the only car of the 1960s not represented there. And nobody really cares. But me. I am going out on a ledge here, and declaring that I love the ’62 Monterey. Why? It must be those taillights. And the little pictures of the Roman messenger god, which are just cool looking. Otherwise, I have no idea. But then, I love 1964 Studebakers too, so what do I know? Even though I possess the (apparently) rare personality disorder that makes me appreciate these cars, I had no idea that there was a visible difference between the Monterey and the Monterey Custom until I shot these pictures. Notice the big chrome slab on the leading edge of the front fender and the little strip of contrasting color right below the side windows. Be honest – how many of you (at least those of you over 50) ever noticed these details that adorned the Monterey Customs? Neither had I. No respect. In 1996, I considered buying one of these before I found my ’68 Newport. I was searching for a well-kept old sedan for a daily driver, and called in response to an ad for a ’62 Monterey. The seller went on about how beautiful the car was, how his grandfather had lovingly cared for it for many years before getting too sick to keep it. By the time I got off the phone, I was in full-fledged Mercury Love, and I had to see this fabulous car. It was on the complete opposite end of the county, and was every bit of a thirty five minute drive. I got there to find a beige Monterey (not Custom) sedan that was in no better condition than this car, either inside or out, other than that the taillights were still intact. The seller was either the biggest liar or the biggest fool I have ever had the displeasure to speak with over a car. But the poor Mercury could not help the fact that it was owned by a crum. Does this experience bring me closer to ’62 Monterey ownership than any other follower of Curbside Classic? Quite possibly. In any event, the car got no respect in 1962, and still gets none today. And over a thousand words into this piece, I still have no idea why. 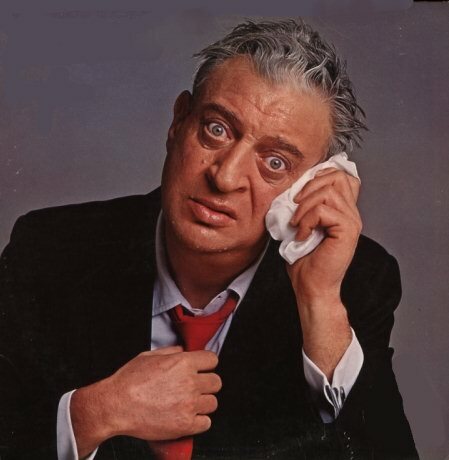 I have read that Rodney Dangerfield began his career as a stand-up comic in 1962. I suspect that at some point early in his career, he probably drove one of these. Would there have been a better way to live the total lifestyle of no respect? Not likely. Well if you are fleeing a nuclear holocaust, this is your ride. I remember seeing “our ’62 Monterey” in this (H) bomb movie, along with an old Leave it to Beaver episode where Wally and Eddie are parking valets and Eddie parks a ’62 Monterey in a no parking zone and it gets towed. The also was a Twilight Zone episode where a ’62 convertible Monterey gets pushed off a cliff along with it’s driver by a bunch of kids. Around 1970 we had a beige ’62 Monterey, a 2 door with bucket seats, floor shifter, under dash factory AC, 390 automatic with a beige and brown interior. Lots of chrome inside, really a beautiful interior, I really liked the red and white interior lamps in the doors. We were driving home with my sister and her newborn from the airport when a car swerved into our lane and Mom panicked and swerved onto the right shoulder and we bounced against the concrete wall. My baby niece was in my lap in the back seat, I had the lap belt on and hung on to her. The car was built like a tank, the body was undamaged but the front and rear bumpers were gouged on the ends along with the thick chrome side moldings. The insurance paid for 2 new shiny chrome bumpers and trim replacement, the car looked great with its shiny new bumpers. Once time Mom called home when the tie rods popped off as she came up to a stop sign, I remember riding with Dad and seeing the car with both front wheels pointing outwards. The repair shop that recently replaced the tie rod ends must have not tightened or even installed the nuts and cotter pins. Another time we were on the I-5 freeway in Bakersfield after crossing the Grapevine, and the brakes failed. Dad drove it in low gear without brakes to a nearby gas station/repair shop, when the brake drum was pulled the shoes and hardware fell to the ground. The same repair shop that had replaced the tie rod ends had also done the brakes. I was around 14 when we had it, and the I-210 Freeway was right by our house and still under construction, I can verify the car would peg it’s speedometer at 120 MPH. Honest, Mom, I only went around the block! The M/T test Monterey car had the same drive train as ours, but being a convertible it’s weight was 4550 lbs vs 4030 for our 2 door hardtop. I found a road test that estimates 0-60 at 8.4 and 1/4 mile at 16.2 compared to the convertibles 0-60 at 10.5 and 1/4 mile at 18.9. Our car felt at least as quick as the faster times. It was a beautiful car, but was sold after about 2 years for a puke green ’67 4 door Monterey, with 390 2bbl. That car was a total dog compared to the ’62. Mom never forgave Dad for replacing her car with that sled. To bad that car didn’t get any respect, it deserved it. 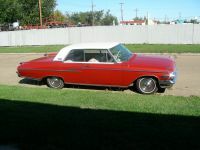 I now have two 1962 mercury convertibles. The first one is the one my dad purchased in 1970 and the other is one I purchased from my brother. I have good memories of riding in Sultana white mercury. The other is a s-55 that deserves to be restored again. 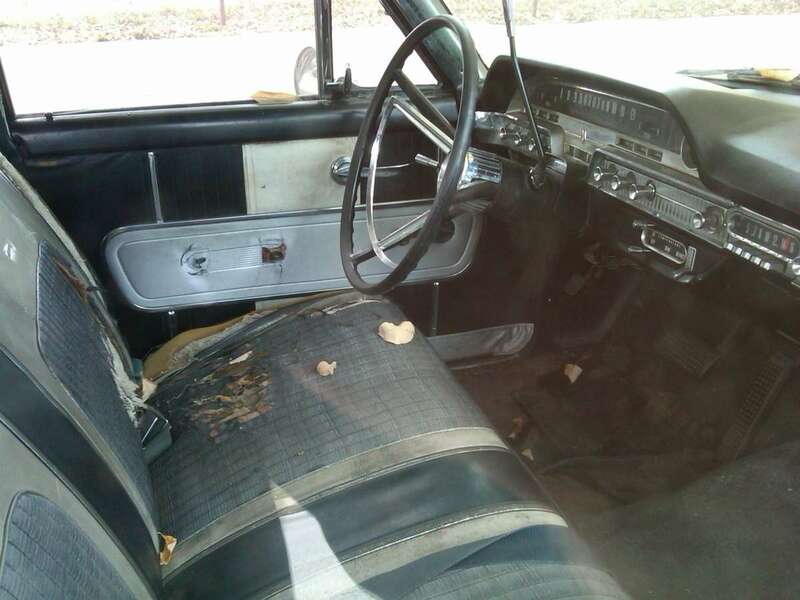 I am also looking for a trans mount for my 62 Mercury Monterey, I can’t find either. Did you have any luck? Well, to be truthful, I never cared for these either, thought they were ugly, but not hideously so like the 1957-60 models. Those things scared me as a little kid. To me, the golden age of the full size Merc was 1965-1972, with the bulky 1973 the turning pont. I think the design is plain. There were so many other more exciting designs on the market at the same time – even if some of them were weird looking. 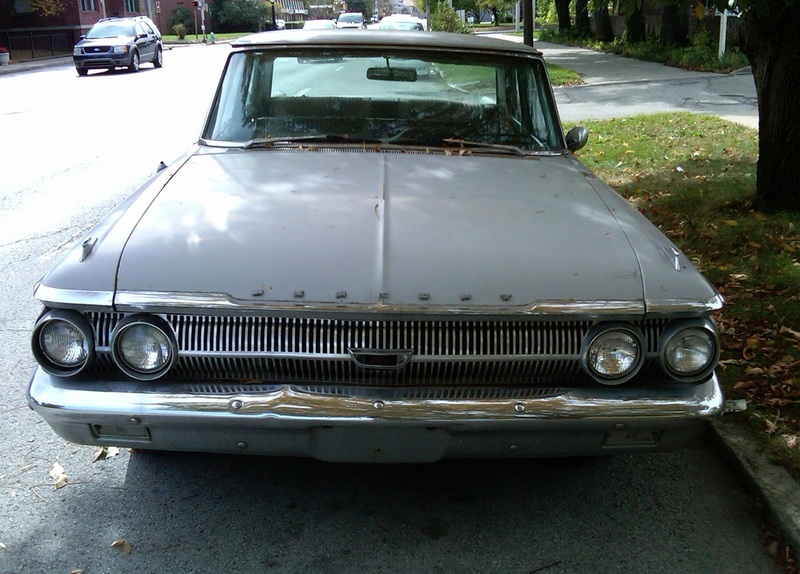 When I think of ’60’s Mercury designs that I like, it all begins with the Breezeway roofline that first appeared in 1963 (I know, Lincoln had it first in the late 50’s). If the 62 Mercury has lost Roger628, it has lost middle America, and my effort to bring the poor thing some affection will be for naught. Wow, I was really off, but I edited my CC comment – at first I said it had to be something from the 1950’s – early 1960’s due to real chrome trim used. By the middle of the decade, most if not all trim was bright aluminum. As for as the car is concerned – there’s not much to recommend it to me. I know I’m not much of a Ford fan until recently, but I see nothing attractive about Ford products of that era. GM and Chrysler had styling that was attractive. I feel Ford’s offerings – with few exceptions – were stodgy and out of touch. Zackman, I am a Ford fan, but this time we are in complete agreement. The ’62 Mercury makes no statement of its own. The greenhouse, for example, is a Ford Galaxie, with no attempt to differentiate made. The car seeks to establish an identity through trim bits and furbelows, and winds up looking like it’s going to a costume party. Now the ’62 Plymouths and Dodges make a statement, and one that many people don’t like, but they certainly have an identity. In fact, they appeal to me far more than this poor, characterless critter. What a great description: the car is a 62 Galaxie 500 going trick or treating! It makes me think of the old Charlie Brown Halloween show, where after every house, Charlie Brown says “I got a rock.” It just fits. Yours is an award-winning comment for sure. Rod & Custom magazine had a number of the day’s leading customizers predict which 1962 styling elements would become iconic custom elements in the years to come as had ’52 DeSoto grille teeth and ’59 Caddy tail lights done previously. They all agreed that it would be the ’62 Mercury tail lights. As a 13-year old I couldn’t see it. 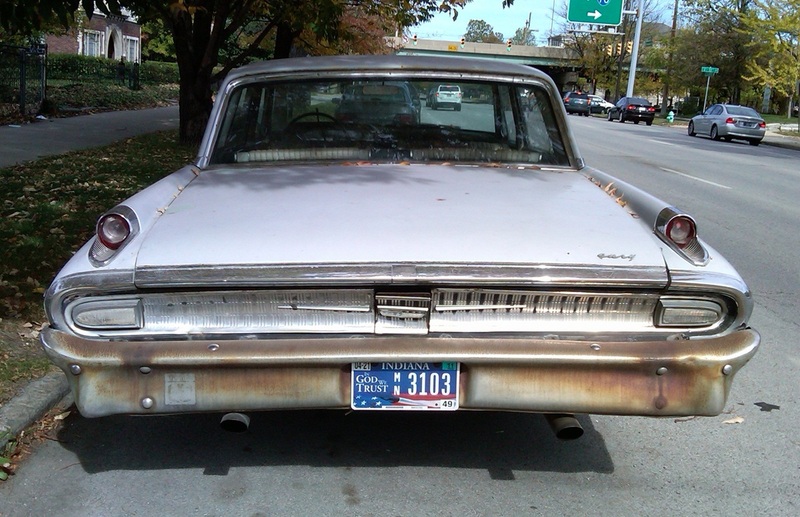 I was right, the ’62 Mercury tail lights never became a fixture on custom cars. If they were referring to the entire taillight assemblies including the bezels, then I could see it being difficult to integrate into a lot of custom cars. Mercury has always been a puzzling brand. It should have been a huge hit, as it was the only thing FMC offerred between Ford and Lincoln. Why was GM able to successfully sell THREE models between Chevrolet and Cadillac while Ford couldn’t even sell one? Shifting ideas about its identity didn’t help. Some Mercs were forgettable, but the ’49-’51, ’55-’56, some mid-60’s versions and the big Grand Marquis in the ’70’s were interesting. These models all had some uniqueness, plus a larger engine, to set it apart from the humdrum Ford. I recall in high school a teacher had a 1964 Mauraduer 4 dr hardtop. 4 barrel 390, great interior, sharp car. Put my father’s ’63 Dynamic 88 to shame. This was the “fastback” roof design, sold along side other Mercs with the “Breezeway” retractable rear window. Two totally different roof designs offered on the same line of vehicles. Unbelieveable. Properly marketed Merc could have been a big winner. Now sadly, it’s gone. A shame. A more basic part of the probem is that GM’s three midpriced brands were already well-established before Mercury even came on the scene. Ford neglected this segment for too long, and when they finally tried to get in, they found that B-O-P had a stranglehold on it. (That Chrysler also already had a three-brand presence in the mid-price segment before Ford even had one didn’t help, either.) Ford was clearly frustrated by GM’s dominance in this segment, and made a major push to break it in the ’50s with the introduction of the Edsel and the upmarket shift in Mercury. They were ultimately forced to retreat on both fronts, however. After that, developing new models in response to size segmentation of the market (compacts, intermediates, ponycars, subcompacts etc.) became a bigger concern than developing a new make. Granted that the mid-price market was a tough nut to crack, I don’t think Mercury ever consistently outsold any *one* of the three GM mid-price makes. To expect Ford’s overall mid-price sales to exceed GM’s, with one make against three, was probably unrealistic. But it is kind of amazing that Ford’s one make could never even equal one of GM’s three make. The ironic part is that Ford’s approach – offering a full range of models under one brand, and even pricing some of them in medium-price territory (LTD and Thunderbird) – was the strategy that ultimately won. This approach undermined the old Sloan “brand ladder” strategy of offering several brands at different price segments. Toyota follows the Ford approach, as well. Not only is Mercury gone, but so are Pontiac and Oldsmobile. Dodge moved down to take Plymouth’s place as the “mass market” brand for Chrysler Corporation. Buick is a shadow of its former self, and survives largely because of strong sales in China. That’s a great point — in hindsight, over the long haul, Ford was better off with only one mid-price brand. Things eventually reached a point where they didn’t even need the one they had. The same goes for Chrysler with the elimination of DeSoto. The Sloan system flourished in a world where every American brand sold just one basic type of car, and where each of the Big Three had a huge share of the market. After 1960, as the American market subdivided into different sizes and types of vehicles, and as foreign manufacturers took up more and more of the U.S. market, the Sloan system made less and less sense. Interesting observation. I note that Falcons always had F-O-R-D spelled out across the hood, a different branding approach from their competitors. Some marketers could argue that that weakened both the ‘Falcon’ concept and the image of the big ‘Fords’, but Ford possibly felt that the Ford name was what the public really needed to know. My thought is that this approach is more likely in family companies, where the name has assumed a more ‘sacred’ identity. Like Toyota? Although don’t forget that Toyota has been playing the separate brand game (in the U.S. market) as well, first with Lexus and, less successfully, with Scion. And what did it all lead to…GM couldn’t handle it’s load & had to turn its self over to the government! Nice work! There was a time when GM was arguably the greatest mass-market vehicle company on Earth. From Harley Earl’s democratization of automotive beauty (compare a ’32 Chevy with a ’26 model, for example), to innovations we all take as mandatory today, like power steering and automatic transmission. The GM of 1962 was bristling with innovation and enough differentiation to afford each car line its own unique identity, even as all shared that same Body by Fisher. Then, GM stopped being all that and a bag of chips. There were chinks in the armor as far back as 1947, when short-sighted Chevy dealers stopped the Cadet project. But after 1965 it got a little easier to see, especially if you look at Cadillac. 1971 was another turning point IMO. The Cadillac that once competed with Rolls-Royce now offered a model attainable to the masses, only a 25% price premium over a Caprice. And the similarities between the brands’ bodies were becoming all too apparent. By 1979, they were in full-on “WOULDN’T” mode, resting on laurels of decades before. It was increasingly difficult to tell a Chevy from a Buick from a Pontiac. You can argue that “wouldn’t” morphed into “couldn’t”, and I’d be hard-pressed to disagree. But I’d argue that before they couldn’t handle their load, they’d gone thru a few decades of simply refusing to handle it. The taillights that project red plastic out of the tubes look ok, but the ones that lack that detail, like the feature car, just look like inadequate drainage spouts. That rear view with the God-trusting license plate is depressing. I love the mid-size Mercs of the era. Especially the Meteor S-33. I love the full size 64 Marauder…….very aero for the era. This one is OK, but it would have be a well preserved original to appreciate the details (like the tail lights!). It’s like a Buick of the era: none of the fun of the 50s, but none of the sophistication of the later 60s either. Come on now, a ’62 Buick is a million times more sophisticated than a ’69 Buick. 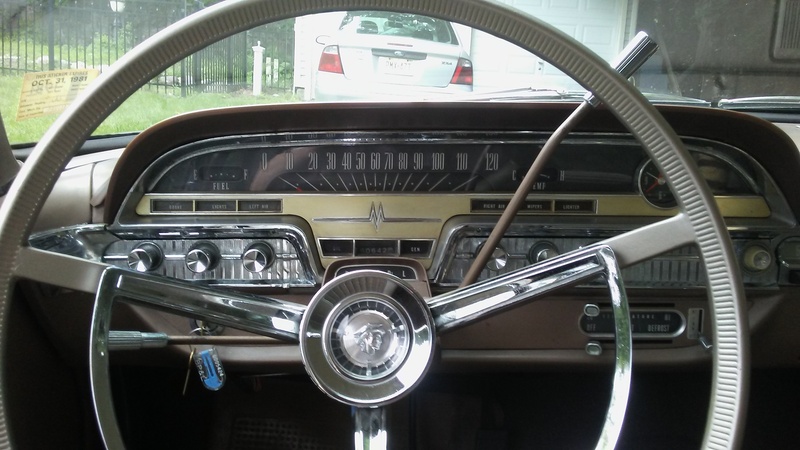 I love most of Buick’s late ’60s-early ’70s offerings, but the 62 was from the era of real chrome and metal dashboards, before the scurge of plastic started cheapening luxury cars worldwide. The lights are broken out, wow! The taillights on the feature car are broken, is all. The thing is there is absolutely nothing that stands out on this car. It is almost the definition of average 60s car. Nothing offends about it, it has no character flaws one can moan about. It just is. The second generation Falcons strike me as similar – no one remembers them either. Around 1953, one of the Chicago newspapers conducted a survey that gathered people’s views of all of the makes on the market at that time. The comment that jumped out regarding the Mercury was that it was too “Fordian.” People could clearly see the Ford influence. Which is the same basic problem with this car. It isn’t unattractive, but it’s clearly based on the Galaxie. I always thought that the 1962 Ford was every bit as good looking as that year’s Chevrolet, but park this Mercury next to a 1962 Pontiac, and it’s no contest from a style and image standpoint. Mercury was not a definite “step up” from Ford. It’s also interesting that, for several years, Mercury had the same problem that Dodge would have after 1962 – it relied far too heavily on compacts and intermediates for sales. Which is not a good position for a medium-price brand. Mercury didn’t (temporarily) find its niche until the debut of the 1967 Cougar and the restyled 1969 Marquis. And Mercury got another problem, the full-size Merc was too close to a Ford and starting in slow motion in ’64, Mercury returned to mid-price section and the redesigned ’65 was “in the Lincoln Continental tradition” as one ad mentionned. Mercury was lucky then Chrysler had pulled the plug on DeSoto, imagine how Mercury would had make if DeSoto was still there? I don’t know that it would have made much difference — by the end, De Soto hadn’t been a real competitor for anyone (including Dodge) in a while. One thing that helped keep Mercury alive where Edsel and De Soto fell was that Mercury was not (except for a brief period in the latter part of the 50s) a separate division with stand-alone stores. Killing Mercury would have almost certainly led to the demise of Lincoln, as well. While Ford had considered that (Bob McNamara came very close in ’58), the idea of completely ceding the higher price brackets to GM was not easy to swallow. For whatever reason, Mercury’s full-size sales never really recovered from the 1958-61 recession. Everyone’s full-size sales were down during that era, but almost everyone else’s bounced back from 1962 onward as the economy recovered. Mercury’s remained mired in mediocrity well into the 1970s. Given how popular fullsize cars were in that era, even a mediocre-selling one was produced in decent numbers, but Mercury’s fullsize sales were a much lower proportion of their overall sales than was typical for an American brand in that time period. I’m not sure exactly why, but as others have already noted, FoMoCo’s repeated changes in what segment of the market Mercury was aimed, and its decision to make the fullsize Mercurys less distinct in appearance from fullsize Fords, couldn’t have helped. 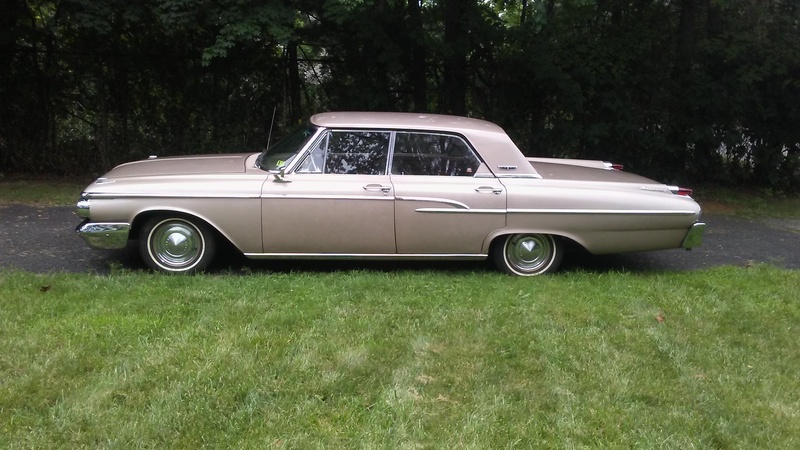 There were several years in the ’60s when fullsize cars weren’t even Mercury’s most popular product line, something that would have been unthinkable at other GM or Ford brands. I said “GM or Ford” because two other American brands where it wouldn’t have been unthinkable were Plymouth and Dodge. In their case, there is an obvious explanation for why their fullsize sales never got back on track: the debacle of the downsized ’62s. Between the mid ’60s and early ’70s, the popularity of Plymouth’s fullsize models was a lot like Mercury’s. They sold reasonably well, and in some years were even Plymouth’s most popular product line, but were always a much smaller proportion of Plymouth’s overall sales that their counterparts at Plymouth’s direct competitors. Dodge probably has the distinction of having the lowest proportion of its overall sales devoted to fullsize cars of any Big Three brand during that period. Dodge’s fullsizes were usually solidly outsold by their intermediates. Interestingly, Mercury’s fullsize cars seemed to become more competitive from the mid ’70s on, even as the fullsize market was rocked by multiple energy crisies. (By contrast, the opposite happened to Plymouth and Dodge, whose fullsize lines were knocked into irrelevance after 1973 by the first crisis.) Again, I don’t know why; maybe Mercury’s fullsize cars were just really in synch with the broughamification era. GM’s decision to downsize the B-O-P fullsizes and convert them to FWD in the mid ’80s undoubtedly helped Mercury out from that point on. Going back to the downsized ’62 Plymouths and Dodges for a moment: The article notes that the ’62 “standard” Dodges outsold the “standard” ’62 Mercurys. If you think of the downsized ’62 Mopars as an entirely new class of car, like Ford’s ’62 intermediates, they weren’t bad sellers. There was clearly a decent-sized market out there for a car of roughly that size. The problem is that they weren’t conceived as a new class of car. They were replacements for fullsize cars, and were introduced at the exact moment that the economy came roaring back and consumers began flowing back to fullsize cars in larger numbers (as successful as the ’62 Fairlane was, Ford sold more than twice as many fullsizes as intermediates that year). Against that backdrop, they were an absolute disaster, essentially abandoning the dominant size segment in the market for one that, while still significant-sized, was much smaller. The ‘true’ full sized Mercury lasted until the 2011 model year. Who would have predicted this during 70s/80s recessions? The revivial of the Grand Marquis in the mid 80’s saved the brand, along with the Sable. And the very last Mercury ever built was a “true” full-size Grand Marquis. Part of the problem could have been buyer confusion — between 1956 and 1962 Mercury had shifted around dramatically. 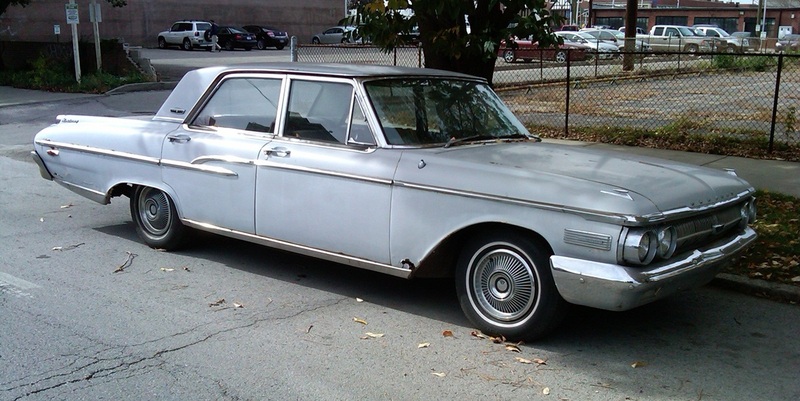 1962 was only the second year of Mercury’s downmarket line, and they added to the confusion by switching from the Meteor to the Monterey nameplate. In addition, the new mid-sized Meteor may have cannibalized at least some sales from the Monterey. I’m not sure that Chrysler’s 1962 sales are the best benchmark; that year it did particularly well due to the weakness of the “lean breed” mid-sized Plymouths and Dodges. In the early 1960s the entire premium-priced market was in turmoil. I don’t have time to dig out the numbers, but I suspect that only Pontiac did relatively well in its full-sized sales. The market had tilted toward smaller, more practical cars. Olds might be an interesting benchmark; did its full-size sales bottom out in 1961-62? Oldsmobile would be an interesting case study, as the first-generation F-85/Cutlass wasn’t particularly successful. If I recall correctly, it was actually outsold by the Studebaker Lark in its first year! It was easily outsold by its Buick and Pontiac corporate siblings. Oldsmobile would have therefore relied heavily on sales of its full-size cars. I recall reading that Oldsmobile sales did begin recovering in 1962. According to the calendar year figures in the “Standard Catalog”, In the first two full calendar years of B-O-P “senior compact” production, Olds was in last place by a wide margin. In 1961 Olds was at 67K compared to 115K and 99K for the other two, and in 1962 Olds was at 102K compared to 159K and 145K for the others. 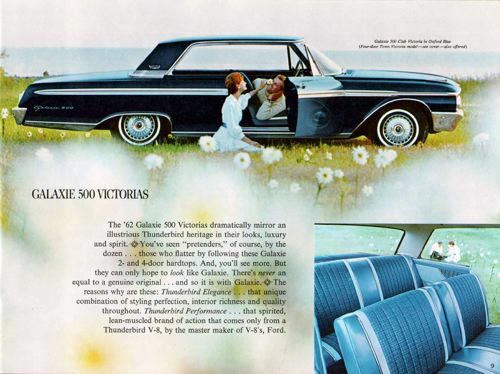 The gap narrowed in 1963 (maybe the Olds version of the new A-body that went into production during the second half of the year was more popular than its predecessor had been? ), but Olds wouldn’t make it out of the basement until 1966. The Standard Catalog does not have a model-by-model calendar year breakdown for Studebaker, but has an overall total for 1961 of 78K. Given that the vast majority of what Studebaker was building at this point were Larks, it seems plausible that the Lark finished ahead of the F-85/Cutlass that year. Olds’ fullsize sales went up in ’62 — calendar year production climbed from 253K in ’61 to 356K in ’62 — but that was true of just about everyone except for Mercury. Everyone’s fullsize cars had a bad year in ’61, and (almost) everyone’s bounced back with the economy for ’62. –Production could fluctuate wildly from year to year, much more so than in the ’60s or early ’70s. –All four of these brands had their best year ever for fullsize production in 1955, with a total that was much higher than any other year. –Even before the recession hit in 1958, production for all four of these brands was off quite a bit from 1955 to 1957. I hadn’t realized how soft the market was already getting in ’57. –The two bottoming out years during the recession were 1958 and 1961. 1959-60 experience varies by brand. Of the four we are looking at, one actually did pretty well, one not great but not horrible, the other two not much better than in ’58 or ’61. Between 1949 and 1957, Buick’s average calendar year production was about 490K. This is about 100K more than Olds or Pontiac, and Buick ranked #1 of the three B-O-P brands every year. The peak in 1955 was 781K, which was much higher than any other year. From there Buick fell to 535K in 1956 (about the same as where they had been in ’54), then to 407K in 1957. In ’58 Buick plummeted to 257K. Everyone was down, but Buick was overtaken by Oldsmobile. And that total had to be a bit shocking if only because of how much higher than everyone else Buick had been just a few years before. Some of the brands we’re looking at rallied in 1959. Buick wasn’t one of them. They declined even further, to 232K, falling to a clear last place among the B-O-Ps. 1960 was better, but not much, with fullsize production at 271K. In 1961, with everyone doing badly, Buick’s fullsize production collapsed to 191K. Luckily, they now had the “senior compact” Special to supplement this. Over the entire 1958-61 period, Buick’s average fullsize calendar year production was 237K, less than half of their 1949-57 average. Granted, the 1949-57 figure that Buick is being measured against is a lot higher than anyone else’s. But Buick’s 1958-61 average is only about 60% of even Olds and Pontiac’s lower 1949-57 averages. In ’62, Buick’s fullsize production bounced back up to 256K. They would be over 300K every year but one for the remainder of the ’60s, but stayed well off their ’50s pace, granted that there was now more to the market than just fullsize cars. Buick was last in fullsize production among the B-O-P brands every year through 1966, finally overtaking Olds in 1967. From 1962-67, Buick’s fullsize average was only 309K, with a peak of 368K in 1965. In 1968 and 1969, however, they increased to 384K and 434K, pulling the 1962-69 average up to 334K. Following an artificially depressed 1970 (due to a UAW strike), the upward trend continued. Buick’s fullsizes averaged 437K from 1971-73, with a peak of 463K in 1971. These were the highest fullsize totals the brand had seen since the mid 1950s, and it ranked #1 in fullsize production among the B-O-P brands each year starting in 1970. Between 1949 and 1957, Olds’ average calendar year production was about 377K. This is slightly less than Pontiac, but Pontiac was in the lead every year from 1949-53, after which Olds took over from 1954-57, so Olds clearly had the upper hand in the later part of the 1949-57 era. Olds’ peak in 1955 was 634K, which was much higher than any other year. From there Olds fell to 432K in 1956 (about the same as where they had been in ’54), then to 390K in 1957. In ’58 Olds dropped to 310K. That was bad, but it was easily the best of the four brands we’re looking at. In ’59 and ’60, things were a little bit better, with fullsize production at 366K and 362K. Not great, still clearly down from the way things had been before 1957, but a heck of a lot better than Buick was doing. In 1961, with everyone doing badly, Olds’ fullsize production was down to 253K, which turned out to be their bottoming out point. Like Buick, Olds at least now had a second car line, the “senior compact” F-85, to supplement this. Over the entire 1958-61 period, Olds’ average fullsize calendar year production was 322K, about 85% of its 1949-57 average. In ’62, Olds’ fullsize production rebounded to 356K. They would average 345K over the 1962-69 period, with a peak of 400K in 1965. This was less than they had done in the ’50s, but again, there was now more to the market than just fullsize cars. Olds ranked second in fullsize production among the B-O-P brands through 1966, but were knocked into third place by Buick in 1967. The decade closed on a high note with 373K in 1969, their second-highest total of the ’60s. Following an artificially depressed 1970 (due to a UAW strike), Olds’ fullsizes averaged 387K from 1971-73, with a high of 390K in 1971. In all three years Olds’ fullsizes did better than they had any year of the ’60s except for 1965. In 1971, they overtook Pontiac for the #2 rank in fullsize production among the B-O-P brands. Between 1949 and 1957, Pontiac’s average calendar year production was about 384K. This is slightly more than Olds, but as described above, Olds clearly had the upper hand in the later part of the 1949-57 era. Pontiac’s peak in 1955 was 581K, which was much higher than any other year. From there Pontiac fell to 332K in 1956 (their worst year since the Korean War shortage year of 1952), then rebounded slightly to 343K in 1957. In ’58 Pontiac had an awful year, dropping off to just 219K. That would prove to be its bottoming out point, however (they are the only brand we are looking at whose fullsizes did not bottom out in 1961). In ’59 and ’60, Pontiac actually did pretty well, with fullsize production at 388K and 418K. They were #1 among the three B-O-P brands, and both of these years were actually above Pontiac’s 1949-57 average. Recession? What recession? Pontiac couldn’t escape the ’61 downturn, with fullsize production falling to 244K, slightly behind Oldsmobile. Like its corporate mates, Pontiac now had a second car line, the “senior compact” Tempest. Over the entire 1958-61 period, Pontiac’s average fullsize calendar year production was 317K, about 82% of its 1949-57 average. In ’62, Pontiac’s fullsizes bounced right back, to 401K. Fullsize production would be over 400K every year for the remainder of the ’60s, averaging 465K from 1962-69, with a peak of 534K in 1965. Even with the subdivision in the market, Pontiac was building more fullsize cars in the ’60s than they had in the ’50s. From 1959 to 1969, Pontiac ranked #1 in fullsize production among the B-O-P brands every year but 1961. Following an artificially depressed 1970 (due to a UAW strike), Pontiac’s fullsize production fell off quite a bit in 1971-73, averaging just 316K. I’m not sure what happened; their late ’60s totals don’t seem to foreshadow such a drop (they were at 484K in ’68 and 453K in ’69, but 300K in ’71). The best of the three years was 1973 at about 345K. During this period Pontiac fell all the way to last place in the B-O-P rankings, being overtaken by Buick in 1970 and by Olds in 1971. Between 1949 and 1957, Mercury’s average calendar year production was about 277K. This is obviously a lot less than any of the middle-priced GM brands. Mercury’s peak in 1955 was 434K, which was much higher than any other year. From there Mercury fell to 246K in 1956 (their worst year since the Korean War shortage year of 1952), then rebounded slightly to 274K in 1957. In ’58 Mercury fell all the way to 128K. 1959 and 1960 weren’t much better, with fullsize production of 156K and 161K. 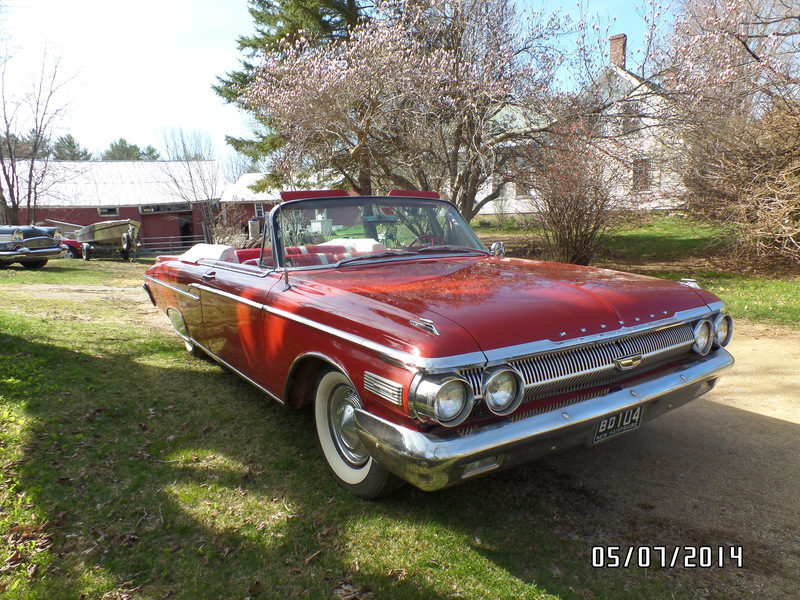 Mercury followed everyone else in ’61, dropping to 109K. Over the entire 1958-61 period, Mercury’s average fullsize calendar year production was 134K, less than half of its 1949-57 average. 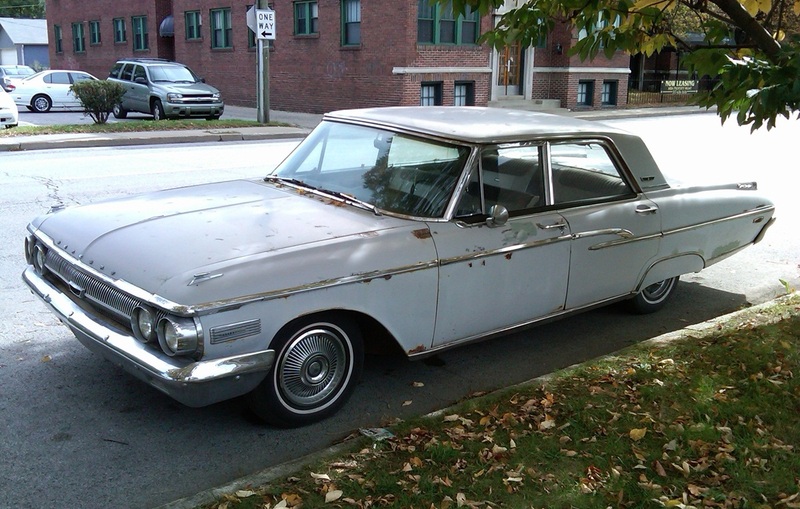 Unlike their B-O-P counterparts, things didn’t improve much for the fullsize Mercurys for ’62. Production remained at about 109K, actually dropping by a few hundred compared to ’61. 1963 and 1964 were incrementally better, but by ’64 Mercury was still only up to 124K. 1965 registered a major improvement, up to 193K, but within two years fullsize production had fallen all the way back to just 96K. The next several years were more stable, consistently in the 120-150K range, but never any higher than that. Mercury’s 1962-69 fullsize average was 138K, only 4K higher than in 1958-61, and still less than half of their 1949-57 average. I’m late to the party, but I can tell you my Mercury memories of 1962: Yawn. Folks wanted some genuine excitement, and the Mercury looked like a Canadian version of the Galaxie; the similarities were painfully obvious. The result was that the Mercury had less appeal than a Galaxie, odd as that may seem. The 1963’s stepped up their game considerably, and the fastback Marauder really was pretty hot stuff back then. Also Mercury’s image was just really battered after all of their indecision as to what it was going to be. The 57-60 era was pretty disastrous for them. As a kid, I thought they were just not good enough (design wise) to compete with GM. Mercury poisoning takes a while to manifest itself. Actually Paul, you have burst my bubble by your yawn over these cars. I have been imagining some alternate universe where Mr. Niedermeyer Sr. chose a black Monterey Custom 4 door hardtop instead of the 62 Fairlane. Young Paul would have grown up luxuriating in roomy, quiet good taste and social status. This would have no doubt led to a lifetime of conformity, an ivy league degree and an eventual life in a gated community. But there would be no CC in this alternate universe. So, please accept our thanks for the deprivations endured during your family’s Fairlane years, as we are all enjoying the fruits today. It would probably have taken a bit more than that; more like a different father than a different car. Meaning: different genes. We are a contrary bunch, for better or for worse. Ask my sons. On second thought, don’t. My family uses that line all the time. With a last name like Klockau, what would you expect? 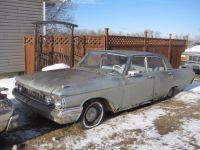 I like this Mercury, although it reminds me of Fords based cars built for sale in Canada…”Hey boys, let’s massage this Galaxie for folks up north…change the grille and some trim.”. Sometimes you get a homerun, sometimes you stikeout. I do still like this car, but Mercury started looking sophisticated, in lieu of altered, around ’65 and really getting good by ’68. I would enjoy one with an FE block. Dammit, it took 26 comments, but I have FINALLY found someone else who at least kind of likes this car. I am SO glad to see you! Oh, I like it fine now. In fact, its scarcity makes it very appealing. I’d take this over a ’62 Impala in a heartbeat. I haven’t seen one in ages, btw. I reluctantly do admit, the car oozes with character, but like all other sedans of that era, it would look enormously nicer in hardtop styling. I’d actually agree. While the early 1960s Impalas weren’t ugly, they were boring and today they are way overrated. 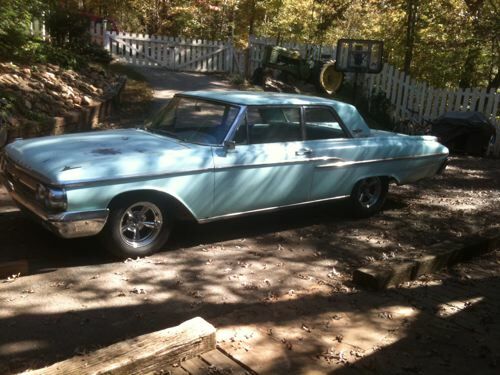 I’d gladly have a ’62 Impala but I’d much prefer a ’62 Monterey. The 1960s full-size Chevrolets were handsome cars, but, I’m not so sure that they were mechanically superior to the decade’s Fords and Plymouths. GM was the master at giving the buyer just enough sizzle to keep him or her happy, and making sure that most of that sizzle was where the buyer could see it. I’ll bet that 95 percent of the buyers in 1962 didn’t bother comparing the Chevy’s X-frame to the Ford’s sturdier full frame, or the unibody construction of the Plymouth. GM’s saving grace was that moving up from a Chevrolet to a Pontiac or an Oldsmobile really did get you a better car. 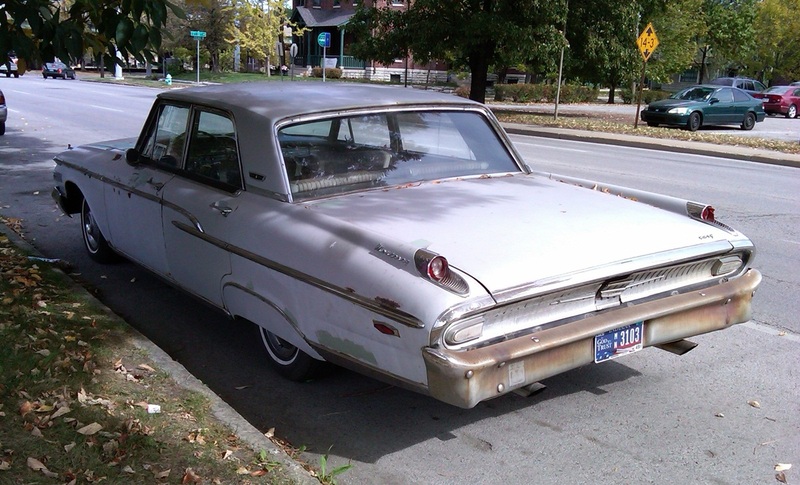 This Mercury wasn’t any better than that year’s Ford (just as a 1962 Dodge wasn’t any better than a 1962 Plymouth). Having lived in Canada 1968-70, eh, I can totally relate to this comment, Jason. What I find interesting is the performance stats for all three cars. The Comet did 0-60 in something like 22 seconds, all the while returning 16 mpg. Even the 406 equipped car only did it in 10.5 seconds and got a stunning 11 mpg. Today, buff books rail that a nine second 0-60 time is slow and it is in a car that can do 30 mpg with ease. Don’t tell me old cars were in any way better. You are right that 0-60 times are quite a bit different than in eons past. I recall being really impressed that a 58 Lincoln had a sub-10 second 0-60 time, and anything in the 8-10 second range always seemed fast to me. But my 2012 Kia Sedona can do it in 8.8 seconds. The hot hatch, now in Economy Size. Yes, because everyone knows that “better” is a synonym for “faster”. The thing people like about classics is the style. These cars were made at a time when companies actually employed designers rather than plopping a lump of clay in a wind tunnel and letting erosion do the rest (I’m looking at you, Hyundai). Toss in comfort, ride quality, visibility, and ease of repairs and there are far more ways old cars are better than new cars than vice versa. And that’s not to say old cars couldn’t be fast. The mile long trillion ton nuclear battleship that was the 1964 Cadillac would beat many modern “hot hatches” in a drag race. And there were plenty of cars with good fuel economy too, like the 35mpg Rambler American or the 50+mpg Fiat 500. Sure, you couldn’t find a fuel-efficient big car or a fast small car, but then again today’s big cars aren’t big and small, fast cars aren’t very small or fast. Old cars are sexier. Why else are we attracted to them? Or at least some of us. I tend to be attracted to them from a comfortable distance, since I have neither the time, space nor inclination to wrench on anything. The drum brakes and lap-belt only thing is a rather obvious deterrent as well. Memories of old cars, like old girlfriends, get better with age. There were certainly many beautiful, iconic designs in the 50’s and 60’s. Remember the excitement of the annual model introductions every fall when dealership windows were covered up and you couldn’t wait to see how the new Impala tailights looked? There were many classics, but they also required 1,000 mile interval oil changes, yearly tune-ups, yearly tire replacements and rusted away before your eyes. Few made it to 100,000 miles. Gas mileage was poor at best and even big V-8’s had 0-60 times in the 10 second range. I won’t even go into a safety discussion of vehicles of this era. Everyone then knew of a good mechanic because you had to. Compare this with today’s basically maintainance free cars. Really the only thing you need to do for the first 100,000 miles are 7,500 mile oil changes. My son’s Honda Civic takes that even further, with a 10,000 mile oil change recommendation. Many will give you 7 second (and less) 0-60 performance at 25 (and up) MPG. TIres last for 50,000+ miles. Crumple zones, air bags and a bevy of other safety features make modern cars a far, far safer environment. Yep, they really don’t make then like they used to. If speed is your thing, it’s a lot easier to make an old car fast than it is to make a new car look good. Count me in as liking the ’62 Mercs. Your CC find doesn’t help in that it’s a chalky gray (or is it white?) four door sedan. As a two- or four-door hardtop in red or midnight blue, this would be pretty sharp. I always liked the little ICBM taillights on these, too. At the same time though, I can see why folks would go for a Galaxie 500 instead; they were lookers. Declaring my love for them too, as I actually find the ’62 Fords and Mercury more attractive than that years Chevrolet. Plus it was one of the “20 year old used cars” of my youth, and it was more endearing, than the Impalas and Biscaynes that were the others. I would consider one (in my vaguely hipster ways) since there’s still a good number of cheap-ish solid ones in the bay area, well, primarily the sedans. The only thing that keeps me away from one would be gas mileage, cause size-wise they aren’t all that much bigger than a ’77 Caprice. Hoo boy if filling up a W124 260E is $70 of premium in the Bay Area right now, I don’t want to think what a ’62 Monterey would be…. Big old sleds have been toast as daily drivers here for a long time now. First, they have to pass our smog-check but more importantly, the price of gasoline makes the cost of running them prohibitive. A US gallon of regular goes for $5.00 in these parts and premium upwards of $5.50. At 11 mpg you are going to spend a lot if you have one as daily driver. The mileage in my previous 280E wasn’t all that much better than that around town. But, like a true “Hipster” I only use a car for local errands that I can’t do with a bike, weekend trips and for pleasure. I use public transportation for work and live in an urban core that has reliable public transportation. It’s not the life of the rest/most of North America, but it’s feasible to have a classic (and that’s why so many of my peers do have them as their only car.) for people living in moderate climates in urban cores. If I had a bit more of a spending budget I would have chosen less of a “modern compromise” choice with my last two car purchases. I wish I were more like you, Laurence. Although I live close to excellent public transit, I have to drive because my business causes me to visit my clients are their establishments. Unless it is on a main line it doesn’t work for me as my appointments are usually like ducks in a row. My Acura is surprisingly economical. Even in Vancouver’s hideous traffic it gets a steady 12L/100km which is 19.6 MPG which really isn’t bad at all but it does use premium only. LJ: Is that what you’re driving now? You didn’t tell me about that. I miss my 300E 🙁 But it wouldn’t fit that well into my current usage, except maybe if it was the wagon. A wonderful wrongful tow (and pending SFDPT hearing) separated me from Lorraine the 280E. News to the wise, don’t get towed in San Francisco, especially on a Friday, when you need DMV paperwork to rectify the situation. It was cheaper to move on and sell the car to the tow yard to pay the bill on the spot than pay the tow yard bill 3 days out (nearly $1,100). When I didn’t get to that ’64 Corvair soon enough, I switched my attention back to Benzes, and wanted, after 2 back to back W123s, to try their successor (the holy grail of perfect Benzes and all). I couldn’t find a 300E in a color I liked, couldn’t find a 300TE that wouldn’t need the self leveling shocks soon with my budget, and couldn’t convince myself that I needed the 400E/E420’s interstate gobbling capabilities. Eventually I’ll get to a cross comparison of both the W123 and the W124, but, yes (haven’t changed the avatar yet) but I now have a 1988 260E. Caledonia is the name. Sorry to hear about the W123 Laurence. For some of us, our cars are our children. I hope the new MB soothes your loss, and that you’ll fill in all of us at CC on the new one sometime soon. It just struck me…$1100 for THREE days? Highway robbery! But then I live in the Quad Cities, where the biggest thing to worry about are parking tickets that might run $15 a pop. Son Ed learned that the hard way once when visiting SF “2 hour parking? Oh, it’ll be ok if we’re a couple of hours late” Not! While visiting the city in August 2003, my wife and I parked our rental car at a lot by the Embarcadero. There were no hours posted on the lot’s sign. We returned when it was dark…and the lot was closed. Our hotel was outside the city, it was a Friday evening, and we needed to leave on Monday morning. But the attendant had thoughtfully left his number on a piece of paper tacked to the gate. He agreed to come and open the gate so that we could get the car…for a $30 tip, plus the cost for parking. “$1100 or sell us your car” after a weekend is just extortion. Every once in awhile I read something that makes me glad to live in Indiana. That tow bill was one. Same song, but also my great grandmother’s nickname. It was recommendation of a friend that named her new Civic Flossie after her late Great Grandmother. For whatever reason in all old photographs, my great grandmother’s nickname is spelled with the extra “e.” Maybe to demark in pronunciation the vowel sound related to her relocation to San Francisco in 1946 (around the same time Louis Jordan had the hit record)? “Cal-i-fornia, Cal-e-donia? Something like that…. I need to get myself some Louis Jordan. Saturday Night Fish Fry is a classic. It’s one of those “San Francisco is more a mob town than you think” moments. And a huge racket, since San Francisco contracts with only one tow yard, that is privately owned and has no accountability or direct relation to the citation you are issued for the infraction. On top of the tow bill, you’re still responsible for the separate ticket, which in my case was a $25 “someone stole my registration tag” ticket. But I thought rationally, that I had only spent $1,200 to buy the 280E, and it didn’t make rational sense to pay an additional $1,100 to get it back. It served me rather trouble free for nearly 2 years, but it was just time to move on, I gotten alot of value out of it. And if the Department of Transportation hearing goes my way (fingers crossed, but well… it’s a crooked big city) theoretically I’d get the $788 she fetched at the tow-yard auction back. It sounds like there is a lot of “auto recycling” from the towing and auction thing. Some other lucky Bay Area resident will pick up your old Benz for relatively cheap, possibly because his car went through the same auction for the same reason. Circle of life and all that. How much do you think Robert McNamara had to do with this sad Mercury? He ran the Ford division thru November, 1960, ran the whole company for a few weeks and until JFK made him US Defense Sec. in early 1961. The Edsel link Frank posted yesterday reminded me how single-minded McNamara was in destroying anything outside the Ford division. Mercury’s weak offerings of ’61 and ’62 were nailed down when McNamara’s power in Ford was at its peak. 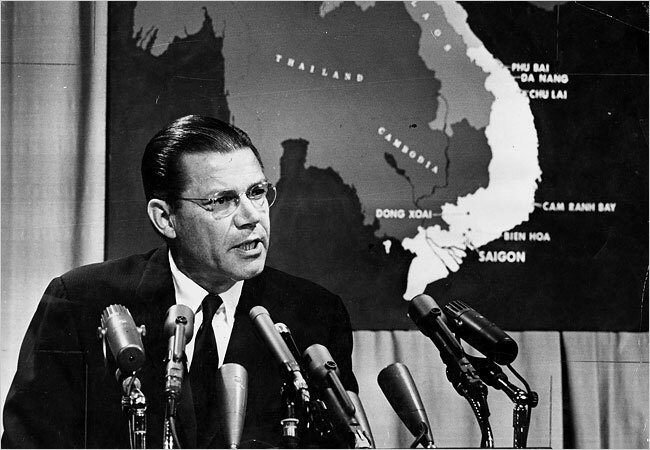 If I recall correctly, McNamara was the driving force behind the elimination of Mercury’s unique 1959-60 platform. He wanted the full-size Ford and Mercury rationalized to one basic platform. In the short term, this seriously hurt Mercury, but it was the correct approach for the long term, as the market subdivided into new segments and imports began making serious inroads. Even a company the size of Ford could not justify two full-size cars on two separate platforms, especially given the lackluster performance of Mercury from 1956 onward. Note that even the 1961 Lincoln Continental and Ford Thunderbird shared a cowl and other common (mostly unseen) parts, which made both feasible from a cost standpoint. Coming back to that picture reminds me how silly I am to worry about a few Mercurys after his post-Ford career. That’s all I want to say about it, sorry, shouldn’t have used that picture. Not at all, Mike. He’s the direct link from the hubris of the “Whiz Kids” to that of “The Best and Brightest.” The only question is why their enabler JFK gets a pass from so many people. He got a pass because he was assassinated as a young president. Certainly, not everybody agreed with him. Despite the considerable opposition to this president you might have seen the same thing had he been assassinated a year ago. Don’t know how old you are but I was an adult in 63 when Kennedy was shot and in the Military. It was very shocking. Fair enough, sir. I was born a decade after his untimely death. Without getting too political here (I trust Paul will shut us down if we do), I only hope that studying ugly and unfortunate history can keep us from repeating it. 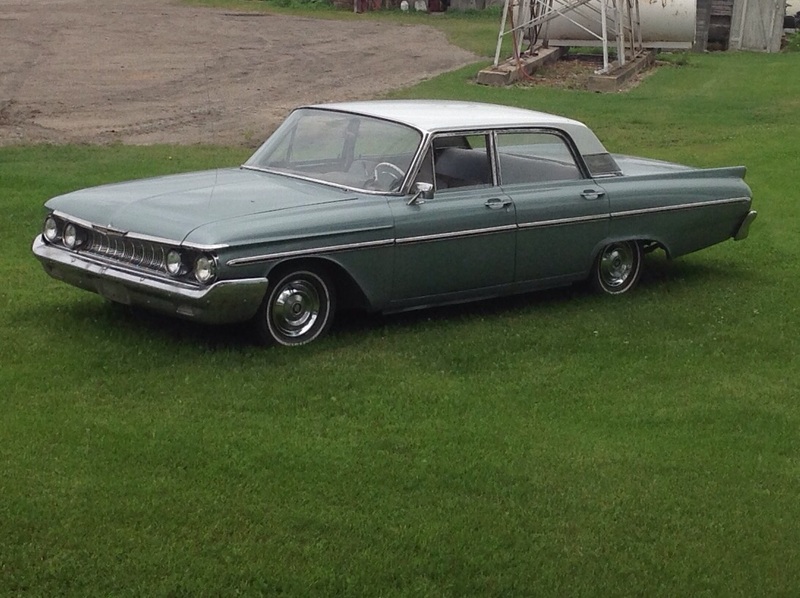 When I’d been working at my first job for half a year or so in 1964, the plant manager’s father showed up with a 1962 Mercury 2-door hardtop he wanted to sell. It was two-tone beige inside and out, and a more appropriate color for that car couldn’t be imagined. I had different ideas about cars in those days, and it wasn’t long before I bought a new 1965 Barracuda. Somehow I’m not surprised that the feature car is beige. You have all met the teen who was going to be a rocket scientist one day and a marine the next. I think Mercury was the corporate equivalent of that. When it finally did grow up it became just another Ford. I haven’t seen a reason for that division to exist since just after the flathead days. “The oddball ’62 Dodge Dart/Polara line outsold it by nearly 40%!” That is a shock, most interesting. Thanks Jim. My brother had a 62 Dart. White/Red interior 2 door Hardtop. 318 w/ push-button auto I think. Lets just say it was interesting, light and fairly quick. Odd ball and tinny too. Perhaps MCT has the the production figures for the 1962 Mercury Meteor. 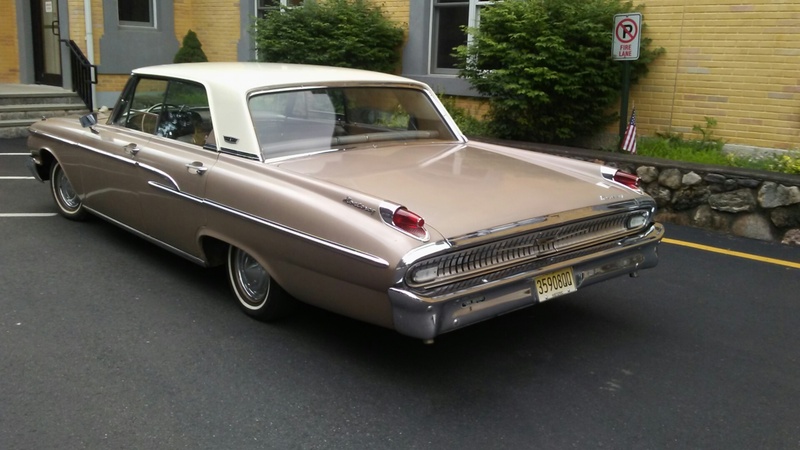 For 1962, Mercury had the Meteor and Monterey, which were two entirely separate cars, while the Dodge Polara and Dart were basically the same car in different trim levels. 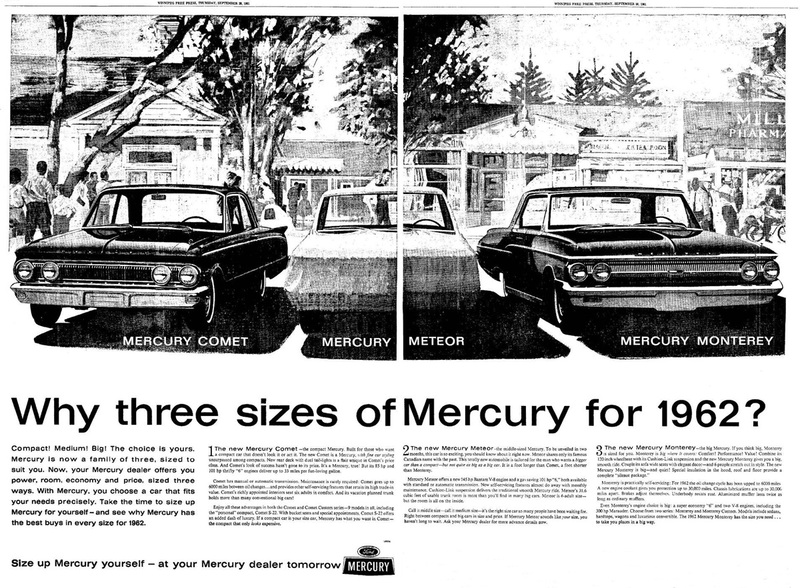 Eliminating the Comet and the Lancer, Mercury was splitting non-compact sales between two separate cars, while Dodge only had one. If you compare 1960 production totals for both divisions, that is when it really gets scary – for Dodge. Mercury was already heavily dependent on Comet sales in 1960 (over 110,000 units for that year, and the car didn’t debut until March 1960!). Mercury big cars sales weren’t that hot even in 1960 – I believe they were about 120,000 units. Dodge, meanwhile, had sold over 300,000 “regular” medium-price Dodges and full-size Darts in 1960 (no Lancer yet – that didn’t debut until 1961). But sales were down to about 150,000 in 1962, and this was in an improving market. Full-size Dodge sales essentially collapsed from 1960 until 1962, while full-size Mercury sales held relatively steady. I had looked it up, and think I remember Meteor sales of around 75K or so. Not great, but also a partial model year. It looked to me that extrapolating for a full year, the Meteor would have sold at or a bit above Monterey levels. Police fleet sales helped ’62 Dodge and Plymouth ‘standards’ quite a bit, that’s why they outsold big Mercs. Top of the line, Black 4 door Hardtop, Red interior, PW (!) and a 390. First the Comet and then the Cougar helped Mercury’s image in the 60’s. But I think the Marquis added desirable [for middle aged buyers] luxury to its full size line. Sporty Maurauders were on the way out, unfortunately for car buffs. But, Marqs [Gran] made Mercury a true Olds/Buick/Chrysler competitor. You are right about the Marquis. For a single decade (1969-1978) the big Mercury managed to hit a sweet spot midway between a Ford LTD and a Lincoln. But with the 1979 panther-based car, it was back to being the worst Ford-clone since the beginning of time. At least for the first couple of generations, the otherwise very similar Mercury got a bigger flathead than did the Ford. With respect for others opinions, Mercury had been around since 1939, so it’s kinda hard to see the johnny come lately argument. 20 + years isn’t enough to figure out how to sell in the medium price range? IOWs Ford simply didn’t know what it was doing with Mercury. What is it this year a Senior Ford, or a Junior Lincoln? I actually like this design overall. The rear is much more interesting than the front but the sides have the right amount of “gingerbread”. Two things keeping from really loving this car are the condition and the boring color. Imagine this one painted turquoise with a white interior. – childhood awareness of lowered, chopped and channeled ’49-50 “sleds”, and ’39-40 Mercs with the hot flathead. – also in childhood, thinking the sedans with the reverse-sloped rear windows were cool. – as a teen, thinking the Dan Gurney TransAm Cougars were cool. – 10 years later, thinking that the ad slogan “Love that Bobcat!” was NOT cool. – recently, wondering if there was any reason other than random alliteration to name the Mercury version of the Fusion, the Milan. Why not Mercury Minneapolis? Also, I like how the revival of an old name, Montego, was just as big a flop as it Ford counterpart, Five-Hundred. How long did that nameplate, 5 minutes? I can just picture a showroom scene with a grumpy old man. Grumpy Old Man: I wanna see of them 500s I’ve been hearing so much about. Salesman: Well actually sir, they don’t make it anymore. Grumpy Old Man: Couldn’t have been any &*$#@ good then! Salesman: Well, they changed the name to Taurus. I like it, but I like almost any car 25 years old or older. My uncle had a 58 Mercury 2 dr HT. 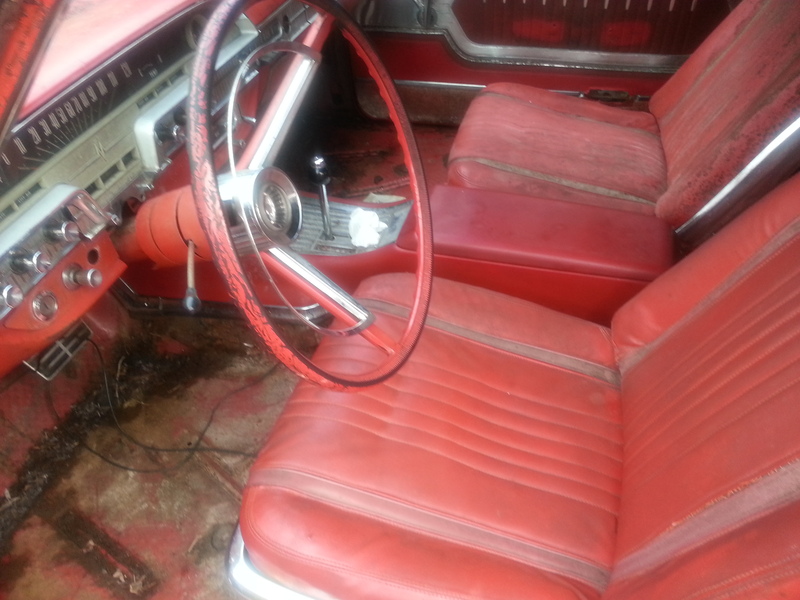 Red and white, it was the first car I ever saw with a padded dash. He had it up until about 1965, when he bought a 63 Newport 4 dr sedan. The Merc was classy, the Newport ho hum. ‘No respect’ indeed. Does anyone remember the ignominious resurrection of this nameplate in the Noughties? 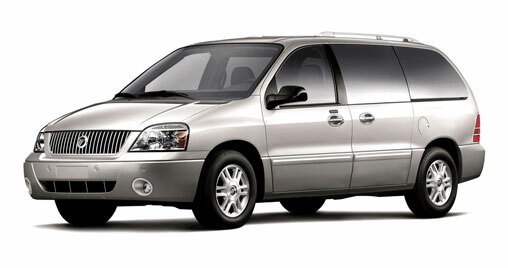 I speak of the 2004-2007 Mercury Monterey: a hastily-rebadged Ford Windstar-nee-Freestar minivan. They must have sold, what, three of them? I actually remember these. A friend of mine bought one for his wife when they came out. I was 4 years old and even I could tell! The essay said it best: The Mercury was not its own car. It was an off-brand…a Ford with contorted skin; funny emblems. You could look and see where the Mercury people hid the obvious Fordism. Why buy a rebadged model when you could have the original for less money? where is the love? they made 5000 of the 2 door post, i am the third owner. i love this car. i will admit i looked at this car about 3 months before i got it. and as most have pointed out in the thread, there wasnt a line of buyers beating down the previous owners door. That is a nice old Mercury. I salute you for giving this one a little love. i don`t know why the 62 mercury monterery wasn`t very popular i fell in love with the taillights and bought the car..mine is the custom with power brakes ,power steering which is better than even the newer cars..it`s so easy you can drive it with one finger..it also has air..it rides good and it is an elengant car..i love it..no new car for me..
Great piece . I have fond memories of my Mom’s 62 monterey.I have to admit,even as a first grader,I thought it was a Galaxie when they pulled it into the driveway the first day they brought it home! I plan on picking up a nice convertible someday. I am currently working on a 1962 convertible. This is my second one, and I bought the first one already restored. Unfortunately, I needed to sell my first due to a move, but not long after the move, I was kicking myself for selling it. That said I found my second one. The “no respect” is certainly being felt as I try and source parts…they just don’t see to be out there. If anyone knows where to get them, I am all ears. Macs, auto krafters, and others talk a good game but have limited options. Thanks for any leads that come my way. If you ever drive one, you’ll want one. How the hell did I miss this? I like these cars enough I bought one. I admit I would have almost preferred the gal at the beginning but it has some sort of character that I like. 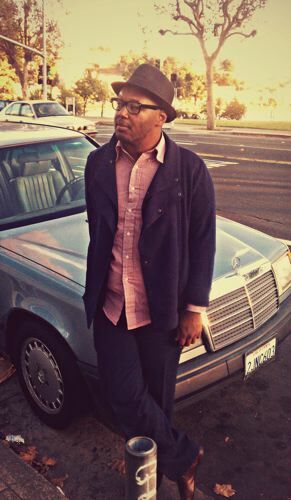 While looking at a 63 Lincoln Continental, I saw this Merc. After test driving the Merc, I just had to have this car. 26 years later I still get that rush behind the wheel. A real beauty. Around 1970 the family had a beige 2 door 62 Monterey with bucket seats, beige and brown interior and bucket seats, center console with floor shifter along with the 390 engine. It still looked like it was new. I was 14 and took it for a couple of runs down the freeway which was under construction and empty on the weekends (no construction workers) next to our house while it was still (smooth) dirt. It went up to 100 mph (indicated) without much effort. Had factory under dash air. A really nice car we got rid of for a puke green 67 4 door Monterey. No respect at all. The 62 was much nicer. A beautiful Mercury – no wonder it is your baby!. I’m also intrigued by the tip of that Packard in the background. WOW you saw that? You are absolutely correct – that is a 1956 Packard Clipper my hubby had for 20+ years. It could easily go to a new owner if one were seriously interested. Bought a decent running used powder blue 1962 Monterey in 1976 to use as a winter car in New York for $50 (yes, fifty dollars). Front fender lower fasteners had rotted out at the bottom which flapped in the wind. Great winter car. Never got stuck in unplowed snow despite numerous attempts to do so nor in drifted snow while offroading in hay fields (liquor infused mayhem). An unstoppable tank. I think it had a 312 motor. Very slow but very steady. I’m not bothered by all the nonsense, I’ve always liked these cars and finally have fulfilled a dream to own one by buying three of them for scrap money. Going to see if I can get one to go. Nice solid two door hardtop custom. This comes from a guy who has a 51 Nash, a 53 Kaiser Manhattan and 1956 international 120 4×4, etc. The Merc doesn’t look so bad beside some of these. It fits between these and some of the other more mainstream Marques I have. Keep up the good work, I really enjoy your postings. I’d like this car as a loaded up hardtop with a more interesting color scheme. But, I’d like it because it was an old car. In its time, the styling is probably the most un-inspired car of 1962. It’s dated; the rear end looks like a design Mercury found in GM’s trash can when GM cleaned up the studio in 1958 – just about any ’59 GM car could have worn that derriere. We see the word bloat on CC with regularity. I’m usually not in agreement with it, but I’d apply that word here. The ’62 Ford is not exactly a taught design, but it has its charms and was an improvement over ’60-’61. Forcing the Ford design into Mercury trim made it frumpy and dumpy – like a formerly nice human body with a two-inch layer of flab over every square inch of surface. It’s hard to imagine this car sitting in a showroom across from a Lincoln Continental. At least they gave it a tube over the transmission column. The naked column in the Ford is another “what where they thinking” move. It had to look very disappointing to a lot of people that looked at competitor’s products – and big Fords were in a relative sales slump in the early ’60s. I never noticed it before, but it looks like Chrysler lifted the ’62 Mercury’s grille in its entirety for the 1963 Dodge Custom 880 (the emergency full-size car they came up with by combining a Chrysler Newport with a Dodge front end). I’ve always liked Fords and Mercurys of 1961-64. I have read conflicting accounts of how at least some model year Mercurys were superior to their Ford counterparts in various aspects of build quality. Did Mercury cars ever benefit from having their own dedicated assembly lines with more rigid QA standards? How about this one? 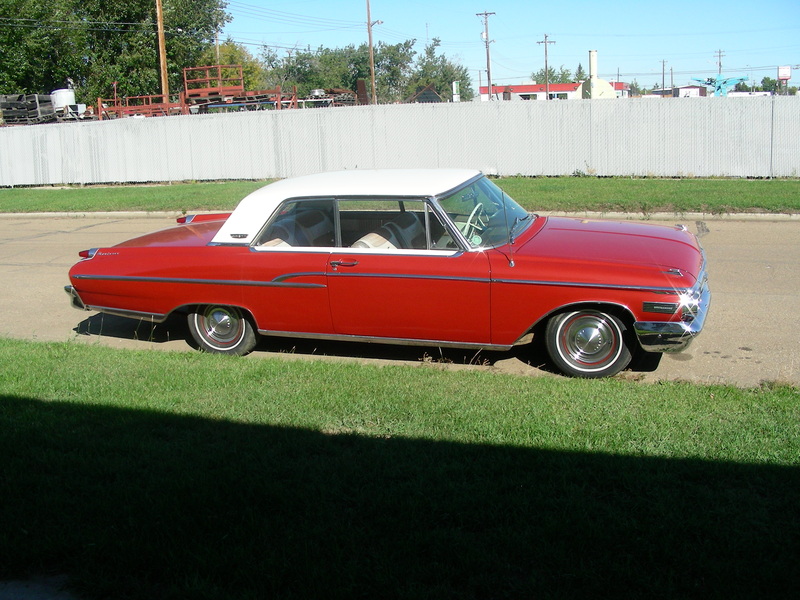 1962 Mercury Monterey 4-door hardtop (base model), 60K, one family owned until 2016, 390 V8 4 barrel with dual exhaust, ps, pb, power windows and seats, original paint (“Desert Frost”). I think it looks great. I got one of the three fencerow Mercs to go with a little gas and a battery so last year my son and I decided to paint it over the course of a weekend just for fun. I’m getting real close now to having it road worthy. It’s a real nice car to drive. Here’s a pic of it now. Here’s the before pic, pictures are blurry, but paint is a nice metallic now. Yes, it is a nice car to drive. The 390 V-8 has a lot of torque and cruises effortlessly. The ride is excellent over most kinds of road, and the power steering is butter smooth. Whoever bought these cars new in 1961-62 got good value for their money.